The Pipe District sits far away from the city area in the Western side of Singapore. The relaxing vibes of the place is a stark contrast to the surrounding office buildings, providing a little rest-and-relax place for anyone wanting some good food and fun. The theme of the place is industrial and the entire place is filled with pipes and rustic wooden decor. Chances are you will not find notice Archipelago Creamery unless you are consciously looking out for it. Hidden within the grounds of Nanyang Community Centre at Jurong West Street 91, you would need to take a bus from Boon Lay MRT Station to get to the community centre. The Queen’s Cats is aptly named after the British’s favourite pastime – afternoon tea. The European-inspired cafe at Holland Village serves a delectable array of premium cakes, pastries, scones, teas and of the like. While prices here are admittedly steep by cafess standards, what customers get in return is a satisfying afternoon tea fix at any time of the day. Set foot into the attractive cafe and be greeted by plush cushion seats and sparkly chandeliers. Beautiful artworks from Singapore Arts Gallery are hung on the tiffany blue walls and some of these masterpieces are available for purchase. For obvious reasons, the cafe’s clientele consists of mainly ladies, but who said afternoon tea is only reserved for the females? Guys, come on in! Popular Taiwanese Snowflake Ice Smoothie House is opening its flagship store at Westgate this Friday on 06 May 2016. 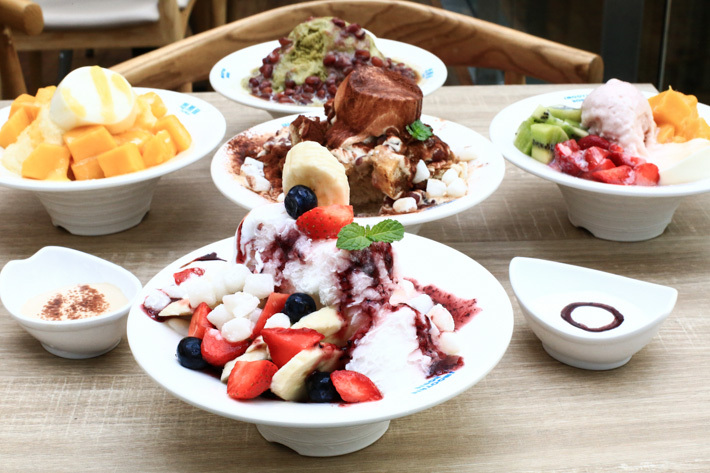 Following its success of its two outlets at Paya Lebar Square and One Raffles Place, Smoothie House is bringing the famous Taiwanese dessert to the west of Singapore - in a much bigger space which will be their flagship store. Our readers can quote “ladyironchef” to enjoy a sharing-size Mango Ice (U.P. 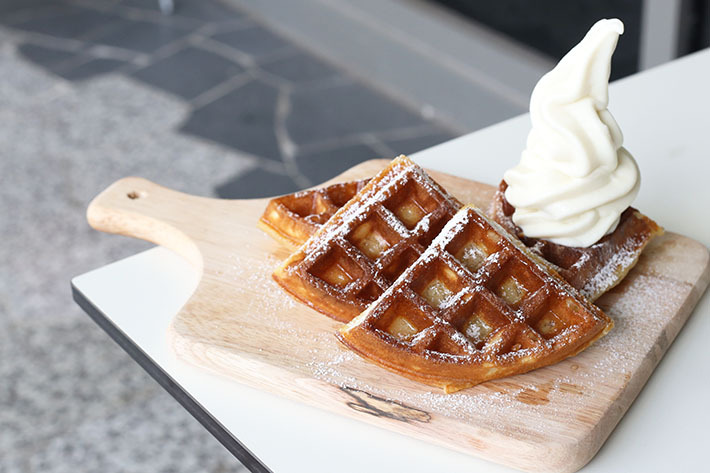 $12.90) at just S$2 – only at Smoothie House (Westgate) from 09 till 15 May 2016. Smoothie House has also lined up several promotions specially for its opening this weekend. 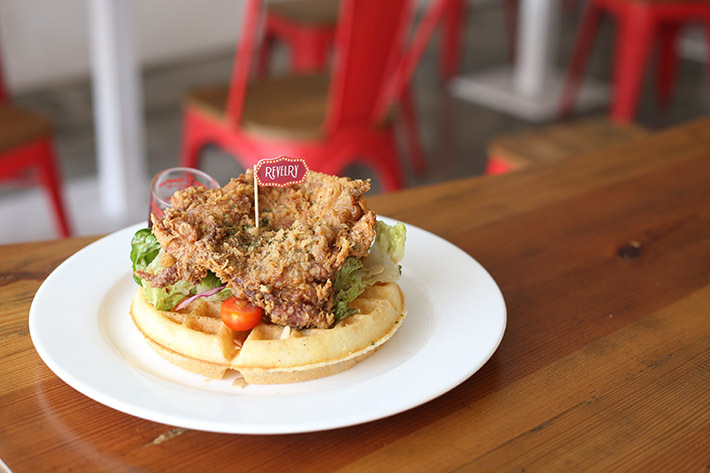 Tucked away in Lorong Kilat, Revelry is a waffle specialty cafe in the west of Singapore which boasts a lively yet enticing vibe that illuminates the entire street. Stepping in, your spirits will instantly be lifted by the vibrant colours and colourful wall murals.